The ferry arrived at the Gibdock shipyards for modification of the engines, and to install an LNG tank with the work expected to be completed by February 15. Thus, the two engines currently on the ship (MAN9L48/60) will become 9L51/60DF versions which are dual-fuel liquefied natural gas and diesel engines produced by the company MAN Energy Solutions. With this change in fuel, the ferry Nápoles is expected to reduce its CO2 emissions by 9,113.45 tons and NOx emissions by 871.37 tons a year as well as fully eliminate all sulphur and particle emissions (which accounts for 75.95 tons of SOx). The annual carbon dioxide reduction will equal the emissions of 6,000 passenger cars (or the effect of planting 18,000 new trees). Plans are also underway to retrofit its twin ship Sicilia in the near future. Moreover, a tank will be installed in the ship to be able to store up to 440 cubic meters of liquefied natural gas so the ship may be autonomous for up to 1,200 miles. The gas pipes will be supplied by Cryospain while the engineering project has been designed by Cotenaval. The total investment in this retrofit is 12 million euros with 20% funded by European Union CEF (Connecting Europe Facility) funds after the project involving retrofitting to use LNG in five of the fleet’s ships was classified as excellent. 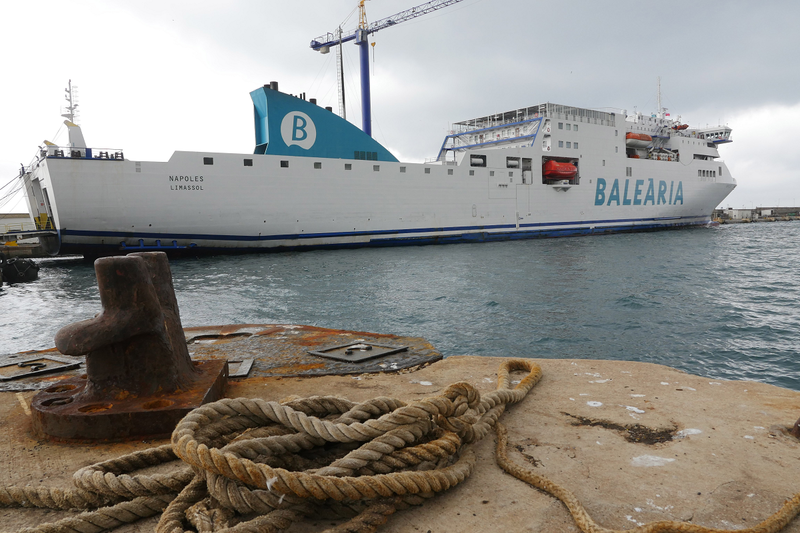 Therefore, Baleària not only has plans to switch the engines in the Nápoles but also in the ferries Abel Matutes, Sicilia, Bahama Mama and Martín i Soler as well as another ferry without help from CEF funds by the end of 2021.